The South Korean steel industry is faced with a crisis due to growing trade protectionism. South Korea was granted a permanent exemption on steel tariffs from the U.S. in exchange for a quota on its steel exports to the nation. But the sparing of South Korean steel imports from the tariffs comes as little comfort, as various countries around the world are imposing import restrictions on Korean steel and metal products. Here is Choi Byung-il, international trade expert and professor at Ewha Woman’s University Graduate School of International Studies, to examine the current situation of South Korea’s steel industry, which is now the target of global trade protectionist measures. South Korean steel products receive high marks as being the best in the world in terms of quality and price. But global demand for steel has decreased considerably since the 2008 global financial crisis, while advanced countries have imposed various restrictions on steel imports, citing the need to protect their local industries. The trend is inevitably afflicting major steel exporters like South Korea. In another negative development for Korea, state-run companies in China have increased steel output significantly over the last ten years on the back of government subsidies, resulting in an oversupply of steel products in the global market. For these two reasons—trade protectionism and an excess supply from China—the Korean steel industry is in a very difficult situation. 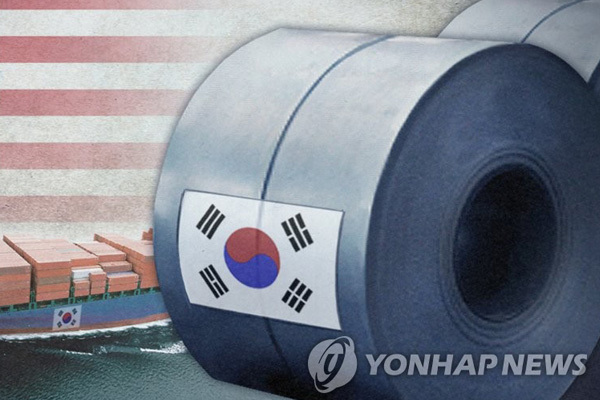 According to data released by the Korea International Trade Association, South Korea’s steel exports are subject to 95 cases of import restrictions such as anti-dumping and import safeguards by foreign countries. They are almost half of the 202 import restrictions for all South Korean exports. Twenty-eight of the restrictions on steel imports have come from the U.S., followed by Canada with 11, Thailand with eight and India with seven. And this year alone, six new cases have been added. As Professor Choi explained, the large number of import restrictions on South Korean steel products is attributable to rising trade protectionism and an excess supply of steel as a result of China’s overinvestment in steel production facilities. Let’s hear again from Professor Choi. Steel comprises the key element of major industries. South Korea developed the steel industry even in the 1960s when the nation was badly off. Korea could have imported steel from other countries, but it decided to foster the steel industry, a basic industry that would be necessary for all economic activities from a long-term perspective. As I said, many countries have tried to protect their own steel industries to address the employment issue since the 2008 global financial crisis. Since the inauguration of U.S. President Donald Trump and Brexit, in particular, trade protectionism has become common around the world. Trade protectionism, which started in the U.S. after Trump took office, has spread around the world, giving rise to more import restrictions on South Korean steel products. The Middle East, which had not imposed restrictions on imported steel from Korea, began to take safeguard actions this month, while the EU is considering a similar action. Last year, South Korea exported steel products worth three-point-six-one billion US dollars to the EU, which is Korea’s fourth-largest steel export market, following China, the U.S. and Japan. It is easy to imagine that restrictive measures by the EU will add to the Korean steel industry’s difficulty. Worse yet, trade protectionism that started in the steel sector may spread to other industries. Professor Choi continues. The automobile industry could be hit by protectionist trade. Trump has said that U.S. cars sold in Europe and China are subject to duties of ten percent and 25 percent, respectively, while the U.S. imposes just two-point-five percent of import tariffs. Pointing out the imbalance, he suggested that other countries lower their import tariffs or the U.S. raise its import duties. South Korean semiconductors might also see a similar situation. As steel is the key element of major industries, semiconductors are the key element of futuristic, high-tech industries. South Korea and the U.S. are the major producers of semiconductors. Considering that the U.S. is wary of China’s expansion to the semiconductor business, Washington’s trade protectionism can be applied to this field. This will have a big impact on Korea. In May, South Korea’s combined overseas sales of steel products, automobiles and semiconductors amounted to 17-point-three billion US dollars, accounting for 34 percent of the nation’s total exports. But the outbound shipments of steel products have already begun to decline. Korea’s steel exports grew six percent last year, but they fell by seven-point-six percent in April this year and point-one percent in May year-on-year, due to import restrictions abroad. Also, high tariffs by the U.S., if realized, will deal a blow to South Korean auto exports, which have shown an upward trend as of late. The U.S. is the largest foreign market for Korean vehicles. Last year, Korea’s car exports to the U.S. amounted to 14-point-six billion US dollars, accounting for nearly one-third of total exports. On the semiconductor front, Korea’s chip exports in May made up 20 percent of its total export volume. But China, which is the biggest importer of Korean semiconductors, has begun a price-fixing probe into Korean chipmakers. Obviously, China is keeping its foreign rivals in check to promote its local industry, which does not bode well for the Korean semiconductor industry and economy as a whole. Professor Choi explains. Growing trade protectionism will cause the export prices of Korean goods to rise. That means fewer Korean products will be sold in major markets, with local exporters suffering from a sales decline. This will lead to fewer jobs. To avoid protectionist trade measures, companies may build factories in the U.S. to produce goods locally. This case, too, will reduce jobs in Korea, where the employment issue is very important. Overall, trade protectionism will have ripple effects on other industries and South Korea’s economic growth rate is expected to fall, affecting the public livelihood negatively. Trade protectionism is the main unfavorable factor dragging down the economy. In June, the U.S. administration started imposing high tariffs on imported steel and aluminum products from the EU, Canada and Mexico, and they have filed a complaint with the World Trade Organization over the U.S.’ action. A trade war among major economies in the world and higher trade barriers will shrink global trade. South Korea, which depends heavily on exports, may face adverse effects such as job reduction and declining economic growth. That is why the government is urged to come up with a more sophisticated trade policy and a clearer vision for the future. Here again is Professor Choi. As far as the manufacturing industry is concerned, Korea can fend off global trade protectionism only in a limited way. It’s like a competition on an uneven playing field. No matter how hard a player kicks the ball, the ball rolls down to the player after all. It is necessary to level the playing field, but that’s far from easy. Still, South Korea should make efforts. It could cooperate with other countries in a similar situation and bring up the issue with a concerted voice. In the Korean economy, it is the service industry that creates 70 percent of jobs. In reality, however, the service sector is relatively weaker than the manufacturing industry in terms of exports. There are limitations in creating jobs only in the manufacturing sector, which can offer 30 percent of jobs. The government must face up to the reality and promote exports in the service industry. If Korea manages to find major export items in the service sector, it can reduce the side effects of trade protectionism afflicting the manufacturing industry in some way in the mid-and long-term. The upheaval in the global trade order as a result of spreading trade protectionism cannot be resolved with a stopgap measure. To overcome the difficulty, South Korea needs to join forces with other countries to cope with the situation and find a way to export its service industry.